The sake barrel ceremony is an alternative to the usual ribbon-cutting ceremony, and is performed at events, opening ceremonies and anniversaries. 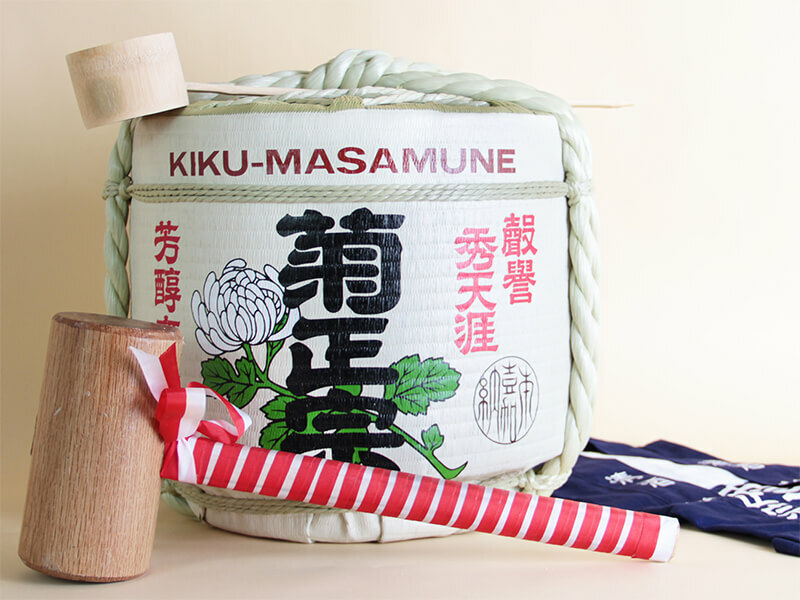 Aside from having multiple sake labels to select from, we also provide the expertise and support for logistical arrangements, including for essential items such as the happi coats, mallets and barrels. We provide training for our customers as well, taking the chance to also have the restaurant staff learn more about sake and its intricacies. 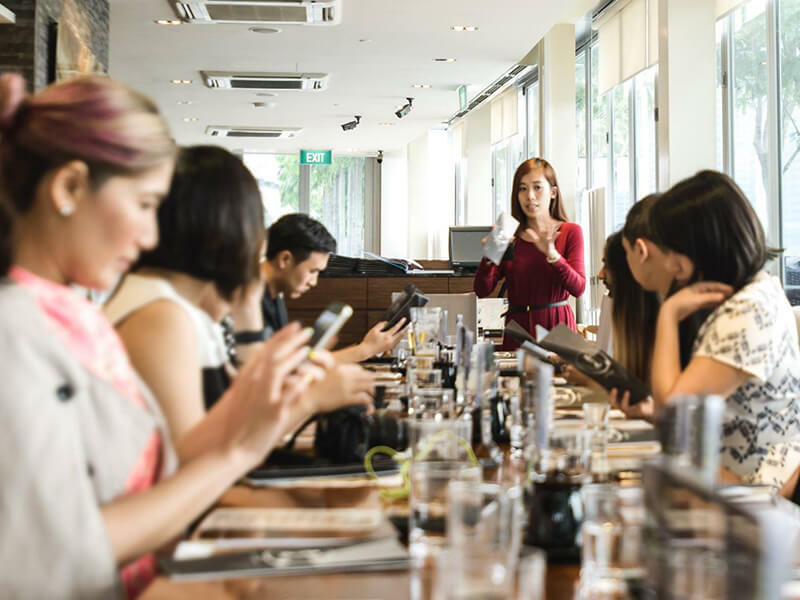 Our trained sake sommeliers will run through specially-prepared materials, allowing both the cooking and waiting staff to learn more about the different types of sake, serving methods, pairing tips and recommendations. 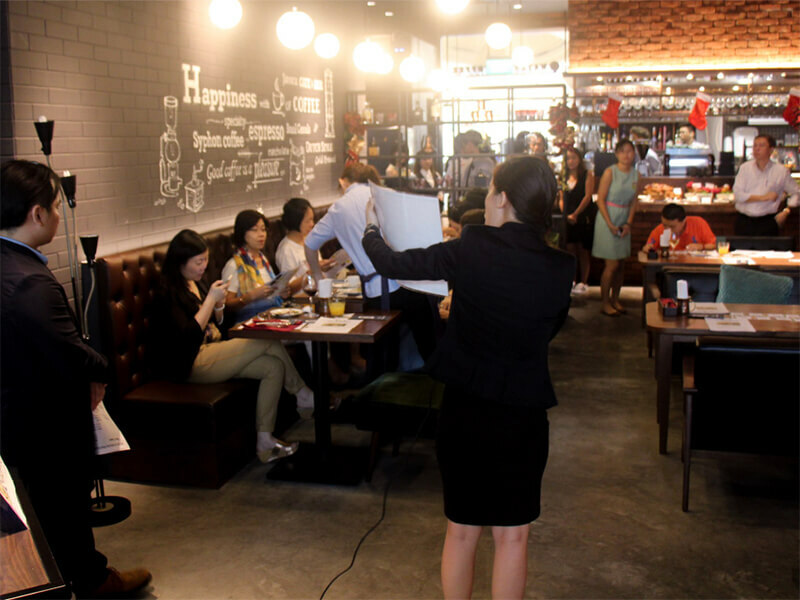 Sake pairing sessions at our partner restaurants can also be organised, be it for restaurant visitors, sake enthusiasts or your most esteemed VIP guests. Through the curation of a sake-food pairing menu, our sake sommeliers also engage in a casual, live chat to provide an engaging way for the attendees to learn more about the types of sake and how they can be enjoyed and savoured in different ways through different types of cuisine.